There are bars and restaurants where ghost stories live are held by professional ghost storytellers. Duration of live depends on the store, but it is generally about 15 minutes long per hour. The terrifying interior decorations such as skulls and creepy dolls create just the right kind of eerie atmosphere for the audience. This article features on some recommended bars and restaurants where you can experience creepy ghost stories. We have picked up some bars and restaurants in Tokyo, where you can listen to some of the scariest ghost stories as well as enjoy the creepy atmosphere as if you were in a haunted house. Some restaurants even offer creepy drinks and meals such as dishes featuring ghosts and human bodies, so why not stop by when you come to Tokyo? They would make photogenic dishes while offering fun experiences. Enjoy some little horror moments along with your drinks and meals at bars and restaurants with ghost stories performance. Kaidan Live Bar Thriller Night Roppongi is a new concept bar where you can listen to scary stories lives held by a professional storyteller. The 15 minutes live takes place every hour, which the stories are based on the real stories the storyteller has experienced and mysterious stories unique to Roppongi. It will surely be entertaining as there are over 100 stories. You can also enjoy having drinks at this restaurant built with the image of a spooky abandoned house. The bar offers soft drinks and various alcoholic drinks such as beers and highball cocktails. 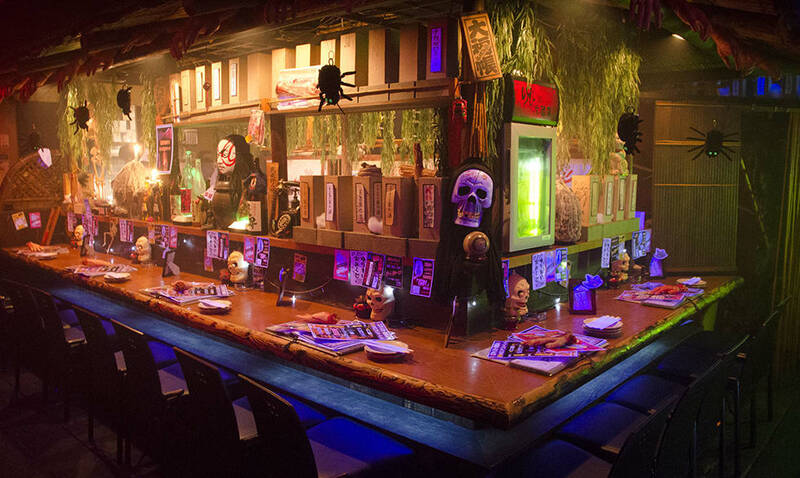 “Yurei Izakaya” is a unique Izakaya built with a concept of yurei (ghost), offering creative meals and drinks. 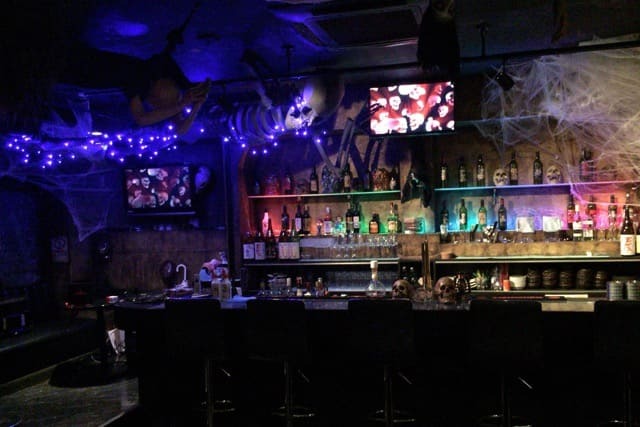 The haunted house themed bar is dark and has creepy decorations such as the lined up gravestones, while offering terrifying ghost phenomena like fake spiders and skull dropping down from the ceiling and the smoke gushing out. Enjoy also their bizzare-looking food such as the popular “Cremated spare ribs.” All-you-can-drink package starts from 980 yen (excluding tax) and course menu including both food & drinks (passed away course) is available from 2,900 yen (excluding tax). There are sofa seats perfect for couples too. Bonji Bar is located in Asakusa, one of the most popular tourist spots in Tokyo. It is a bar adorned with unique Sanskrit text art. In the bar where the Kannon statue stands, you can enjoy their water pipes collection from all over the world. They also offer original cocktails with Buddhist-inspired names. In pursuit of providing Japan made alcohols, there are various kinds of drinks available including some of the strong alcoholic drinks to more of the healthier vinegar-based cocktails. You can find variety of music from chill-out, old soul to reggae that will help you feel relaxed when listening in this mysterious space. 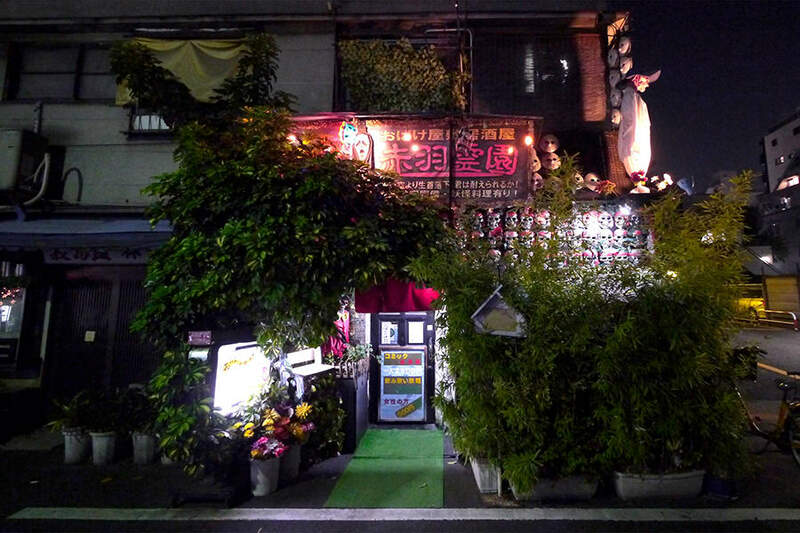 Akabane Reien is a haunted house Izakaya. While offering a haunted house experience, you can also eat and drink. Generally, for men the price is 2,500 yen and for women 2,000 yen including all-you-can-drink set with snacks. The price is quite reasonable as Karaoke is also included in this offer. There are a couple of scary surprises in the bar that might occur while you are relaxing such as the falling skulls from the ceiling and moving displays. If you’re looking to get shaken, check this place out! Also do not miss their scary monster attraction show performed every night! Creepy monsters that are different depending on the branches will come into your cell to scare you. If you are looking for some terrifying experience, this is the place to go. If you want to enjoy Japanese ghost stories, join the Tokyo ghost story tour in Asakusa. 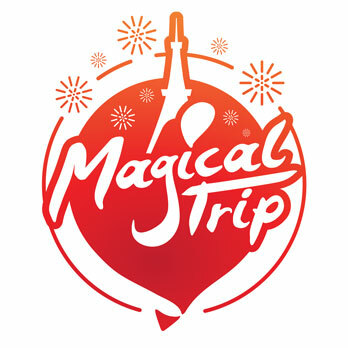 The tour involves a visit to the haunted houses and popular scary places in the area, all accompanied by tour guides. Enjoy sightseeing and haunted experience at the same time!